2010, Los Angeles Trade Technical College. Text from plaque: Out of a need to matter not only to myself but to the world around me, I made a decision and committed to hard choices that started a cycle of progression. I am grateful for Los Angeles Trade Technical College, a key step in my commitment to make a difference. 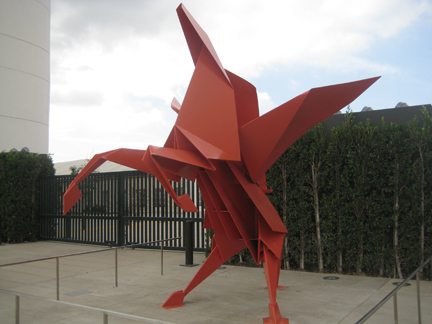 Hacer, sculptor, LATTC alumnus.